Meet the Pepper brothers! 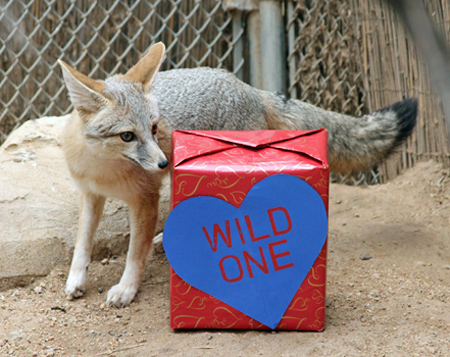 Poblano and Jalapeno are kit fox brothers who came to Southwest Wildlife in the summer of 2013. They were born at the Arizona-Sonora Desert Museum (ASDM) as part of the Species Survival Program and are non-releasable. 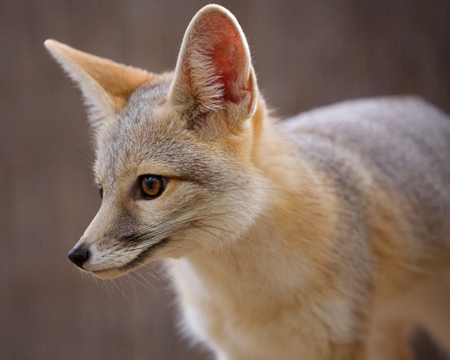 Kit foxes are the smallest fox in the United States. They are native to the Sonoran and Mohave Deserts. 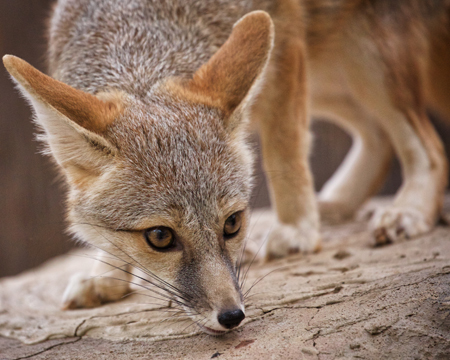 Kit foxes are well adapted to desert living. They’re light in color with large ears which dissipate heat. They derive moisture from the food they eat, such a kangaroo rats. They also create underground burrows to escape the daytime heat and leave the burrow at night when the temperatures are cooler. 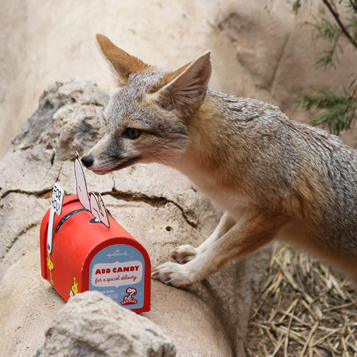 The kit foxes love mouscicles best, but anything new in their enclosure is exciting too. They love enrichment!